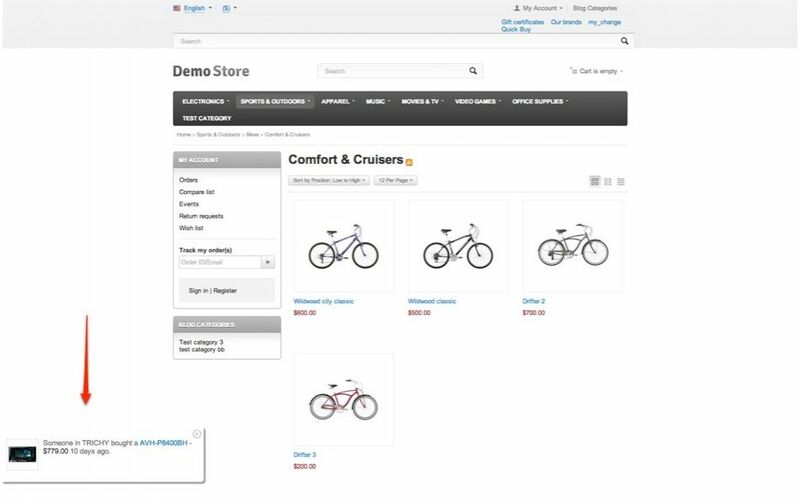 Instil confidence and trust in your potential customers by using our "Recently Purchased Products" pop-up add-on. The add-on will show a little pop-up showing what other customers recently purchased. This has a double benefit, it will show people that your website is frequented and other people also purchasing from you and at the same time it may also give suggestions what other people purchased and customers can click on the link to view the item. • You can specify whether to show when the item was purchased for instance five minutes ago, two days ago. • You can specify which orders to show by minute, hour or day.